Hi and thank you for looking at my profile. 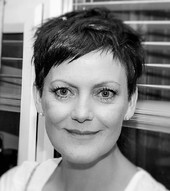 I have extensive experience of providing support to individuals experiencing many different difficulties such as anxiety, depression, low self-esteem and relationship problems and I understand how completely debilitating and exhausting it can be to try to manage your day to day life whilst trying to "battle" against these feelings and mask how difficult things really are from everyone around you. As a counsellor I can offer you a confidential service where issues and concerns which are perhaps too difficult to talk about with family and friends can be shared and thought about. I am aware counselling can be a very difficult and daunting step and I will always hold this in mind. I can offer you a warm and safe environment and will work with you at your pace to build a working relationship built on mutual trust, respect and understanding. Every person is individual and every relationship unique therefore I have a flexible way of working and will always seek to adapt and work in a way that best suits your needs. I am a genuine, warm, respectful and caring individual. I will work alongside you to try and make sense of the difficulties you are encountering. These can be immediate difficulties that have presented themselves or an accumulation of things that have simply become too overwhelming to manage. I offer a discounted initial assessment of £20. Further sessions are £45.